See a highlight video of the focus group. Keep up with the Their Turn series at LimaOhio.com/tag/theirturn. LIMA — Two downtown apartment buildings designed to appeal to urbanites. A center of learning and innovation. A greenspace and performance venue. A second coffee shop. Breweries. Entertainment options. Lima’s vision for its downtown center can be appealing, but before any glorious downtown renaissance emerges, there will need to be some buy-in – at least $1 million worth. Tracie Sanchez thinks it can be done. As former president of the Lima Rotary, Sanchez and other community leaders stepped up in 2018 to plan a half-block amphitheater and green space behind Old City Prime, but the real litmus test – the fundraising for $1 million from the community – begins in just a few months. Lima residents, including those under the age of 40, may be less enthusiastic than Sanchez about the project. It’s not the first time a downtown renaissance has been prophesied by city and county leadership. Theories of revival came to the forefront in 1984 with the creation of the Veterans Memorial Civic & Convention Center, which helped spur investment into a new motel, parking garage and the YMCA nearby. More than 20 years later, increased private investment and added restaurant options downtown gave leaders reason to predict another boom. Despite the movement, residents want more for Lima. According to a recent survey organized by The Lima News, respondents repeatedly asked for vibrancy – things to do, more options for families, more options for retail – and many are looking outside the community to find them. Meanwhile, economic indicators are trending positively. Median wage is up. Unemployment is down. Overall migration into the county is eking upwards. Jobs are available. Events are happening. Somewhere, there is a disconnect. Despite continued efforts to improve the region’s future, Lima hasn’t been able to buck the trend of incremental population loss it has seen since the 1970s, when Lima claimed a population of 54,000. People from the region continue to look elsewhere for their futures despite positive movement. 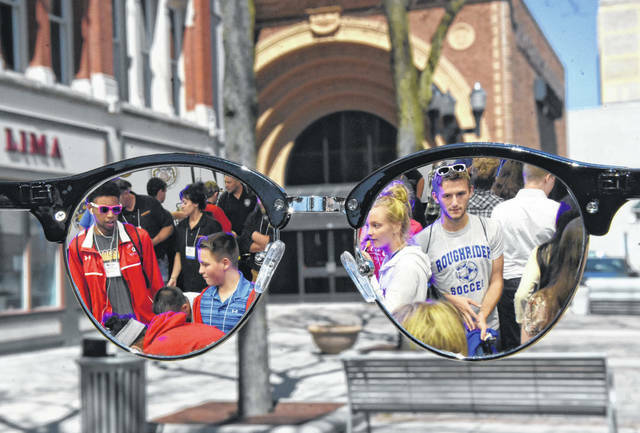 The Lima News wanted to know why the city’s younger adults balked at the vision. So, we asked. Back in March, The Lima News asked the region’s residents to tell us what they thought about Lima’s future through an online survey. A follow-up event asked a group of individuals under 40 for their input on the same topic. 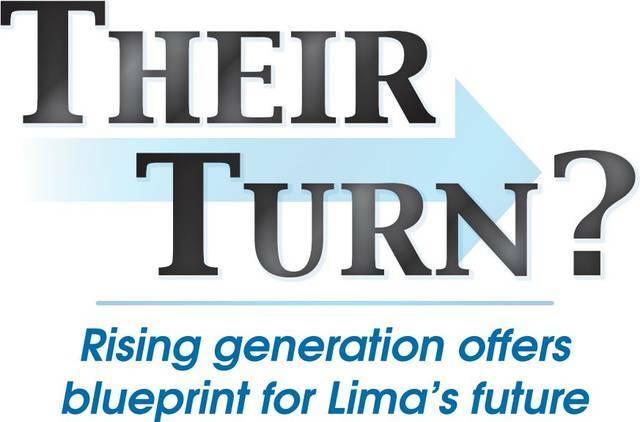 Outside of housing and demographic statistics gathered meant to help identify housing needs and the quality of the survey responses, the “Future of Lima” regional survey also asked about resident’s future plans in regards to staying in the region. A few trends emerged. Young people, namely those under 40, are often looking outside the region due to concerns about their careers. They named lack of job opportunities and lack of wages as the two primary reasons for leaving the area, as well as the high crime rate and lack of amenities. Those upwards of 40, who may be a little more grounded in their careers, identified “other” as the primary reason for wanting to leave, with crime and wages coming in second and third, respectively. 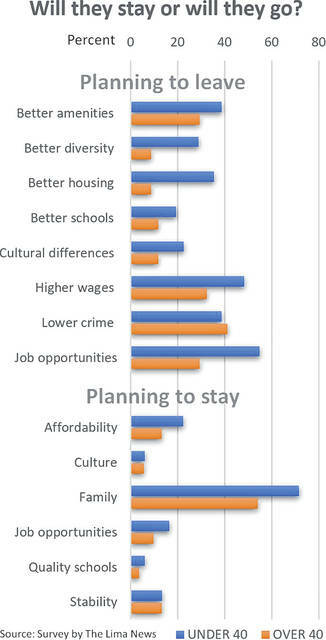 Survey results, however, also showed a large portion of people who wish to stay in the region. Most of the survey respondents, or 75%, expressed a desire to stay, with both of those over- and under-40 overwhelmingly identifying family as their primary motivation to stay in the region. Readers should keep in mind that most of those speaking identified higher levels of educational attainment than the general populace of Allen County and the region. In other words, there’s still a large contingent of individuals in Lima and Allen County — mostly those with high-school degrees — underrepresented in survey responses. The survey comments delivered some of the most revealing insights. Outside of the issues identified, the topic of Lima’s perception and buy-in from its residents came to the forefront. Outside of the survey, real examples of new proposals causing strong reactions are not hard to find. When Allen County commissioners considered a building department change, the City of Lima took a grounded stance. When the city’s administration asked to hire a new tech director, council shut the idea down. When some council members proposed conversations about some sort of rental housing regulation, housing investors and landlords came out in force. In both Shawnee and Bath townships, when private investors looked to build a gas station and a restaurant property, neighbors argued against the disruption. And that’s just in 2018. That’s not to say the reasoning behind the objections weren’t justifiable, but survey respondents often describe how proposals to cure long-standing issues are often harshly shot down before discussions can occur, thereby shutting down any potential solutions before they get aired in the public arena. New ideas aren’t just gently dismissed, they’re maimed. Back in 2010, a county branding commission came up with Allen County’s current tagline of “Real American Strength.” Since its adoption, it has been adapted by many of the region’s business-oriented organizations to attract attention to the region. Cult Marketing’s CEO Doug McIntyre took a stab at what it’s supposed to mean. “It seems to be appropriate for the region. I don’t know if ‘Real American Strength’ is compelling for tourism, but it’s good for attracting business. It’s probably a nice rallying cry in terms of people in that area for traditional values,” McIntyre said. McIntyre was heavily involved in creating Ohio’s newest tagline, “Find it here,” meant to give the feeling of how Ohio’s visitors can craft whatever experience they want in the varied state. As McIntyre described, “Real American Strength” works well as a neon-sign to manufacturers that they can find good workers here with traditional values. But for those who may not be a manufacturer, or may not work for a manufacturer, or may not be interested in working for a manufacturer, there’s something of a disconnect. That disconnect is emblematic of another survey trend, how residents perceive those making the decisions. According to survey results and focus group discussions, there’s a contingent of people who feel disconnected from the larger vision of the community and the people crafting that vision. “We need to somehow reach out to all of our community … those that have been forgotten, that have been lost, that don’t feel like they have an opportunity for them, that they do have to go someplace else because their perception, real or not, is theirs, and that’s what we’re struggling with,” said Josh Unterbrink, a focus group participant. The challenge is to reconsider the status quo, said Omar Zehery, a focus group participant. By mid-summer, Sanchez estimates the buildings lining Union Street between Spring and Elm Street currently will be demolished, and a foot of topsoil will cover the old stone-covered lot to prepare the block for the downtown amphitheater park. After announcing the acquisition of the lots this past March, the Lima Rotary, with the help of $20,000 from Husky Energy, was able to raise roughly $50,000 necessary for demolition, or Phase 1. Once the Rotary finalizes the finer details of its fundraising campaign, it’ll begin raising the $1 million worth of buy-in. Success of the project may well depend on whether that new vision resonates.